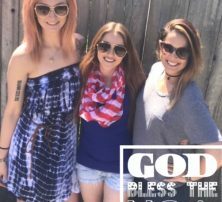 Women’s hair gets all the attention because women tend to spend big money on their hair. From cuts to styles to curls to coloring to extensions, women may spend hundreds of dollars at a time to look their best. Men, meanwhile, are left behind. They typically don’t require such services. A simple haircut will do for them. 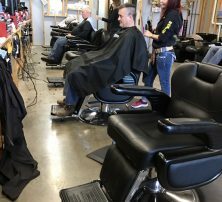 There are barber shops still open in some areas of the country. However, some men feel awkward going to the same barber that cuts their dad’s hair. They may desire something more comfortable and contemporary. That’s where HoneyCuts comes in. 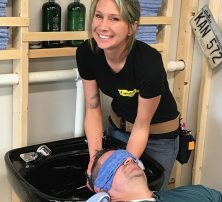 HoneyCuts is a fun mix of salon and barber shop. Friendly female hair stylists cut your hair to your desire while you enjoy your haircut in a rugged garage-like environment is easy. 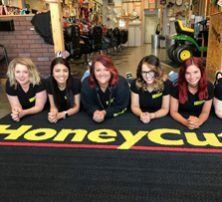 If you live in Darien, IL, we have a HoneyCuts salon near you. 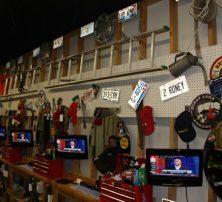 Stop in our Downers Grove location today and see how we stand out from the rest. 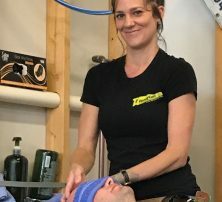 HoneyCuts offers a salon experience but without the salon prices. One affordable price gets you a haircut, hair wash and scalp massage. Because we wash off excess hair clippings and end with a massage, you leave itch-free and relaxed. 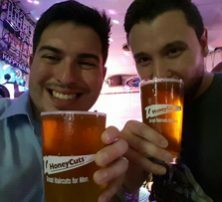 HoneyCuts has been providing efficient haircuts for men since 2003. 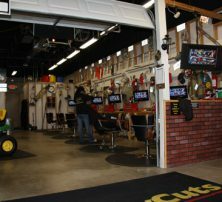 Our rugged haircut environment will help you feel comfortable and at home. Pompadour. Pompadours are longer hairstyles that some boys and men like. You can customize the sides by leaving them the same length or cutting them shorter. Taper fade. A taper fade uses clippers of various sizes to create a fading look. Hair is longest at the top and it gets shorter until it reaches the skin. Buzz cut. Buzz cuts are low-maintenance styles that appeal to boys and men. All the hair is cut to the same length. Buzz cuts are typically cut short, but can be longer. Crew cut. Crew cuts have always maintained a sense of style. They are similar to buzz cuts except the hair is often left a little longer on top. 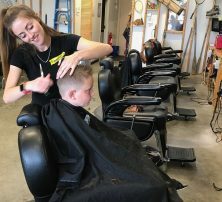 At HoneyCuts, the focus is on haircuts for boys and men. We don’t have feminine scents and women’s magazines. 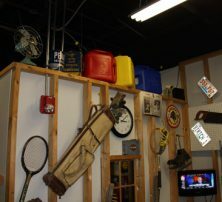 We have TVs and a fun garage environment. It’s like getting a haircut in your own home. 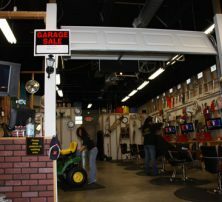 We make sure even little boys experience a stress-free haircut, complete with cartoons and fun tractors. 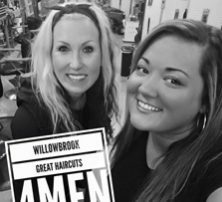 Just let us know how you want your hair cut, and we’ll take care of the rest. 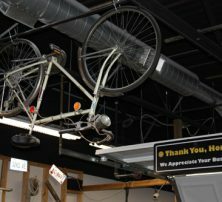 We have eight locations throughout Indiana and Illinois to serve you. If you are in Darien or the surrounding areas, check out our Downers Grove location today. We are located at 2581 Ogden Avenue, just a few miles away. To learn more about the services we offer, contact HoneyCuts today at (331) 903-3100. 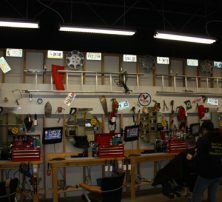 We are open six days a week: Monday through Saturday. Go online to learn more about our stylists and hours of operation.